Count data from Aedes aegypti antibiotic trial - cumulative pupae counts, number of emerged adults from each treatment. Egg counts and percentage hatch from antibiotic trial on Aedes aegypti. Wolbachia-screening data for females Aedes aegypti from an uninfected line (control). Colony derived from eggs collected in Townsville, Queensland, Australia. Data collected on the Roche LightCycler 480 with an HRM assay. Wolbachia-screening data from female Aedes aegypti infected with wMel (Walker et al. 2011) strain. High Resolution Melt Assay on Roche LightCycler480. Wolbachia-screening data from female Aedes aegypti infected with wMelPop-CLA (McMeniman et al. 2009) strain. High Resolution Melt Assay on Roche LightCycler480. Wolbachia-screening data from female Aedes aegypti infected with wAlbB (Xi et al. 2005) strain in antibiotic trial. High Resolution Melt Assay on Roche LightCycler480. Male Aedes aegypti from four lines in antibiotic trial. Wolbachia-screening data obtained via QX100™ Droplet Digital™ PCR (ddPCR™) system (Bio-Rad Laboratories Pty., Ltd. Hercules, CA USA) with a hydrolysis probe assay (PrimePCR™, Bio-Rad Laboratories, Inc. Cat. No. 10031261). Wolbachia-infected Aedes aegypti (L.) mosquitoes for control of dengue transmission are being released experimentally in tropical regions of Australia, south-east Asia, and South America. To become established, the Wolbachia Hertig (Rickettsiales: Rickettsiaceae) strains used must induce expression of cytoplasmic incompatibility (CI) in matings between infected males and uninfected females so that infected females have a reproductive advantage, which will drive the infection through field populations. Wolbachia is a Rickettsia-like alphaproteobacterium which can be affected by tetracycline antibiotics. 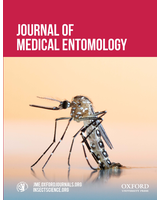 We investigated whether exposure of Wolbachia-infected mosquitoes to chlortetracycline at environmentally relevant levels during their aquatic development resulted in loss or reduction of infection in three strains, wAlbB, wMel, and wMelPop. Wolbachia density was reduced for all three strains at the tested chlortetracycline concentrations of 5 and 50 µg/liter. Two of the strains, wMel and wMelPop, showed a breakdown in CI. The wAlbB strain maintained CI and may be useful at breeding sites where tetracycline contamination has occurred. This may include drier regions where Ae. aegypti can utilize subterranean water sources and septic tanks as breeding sites.